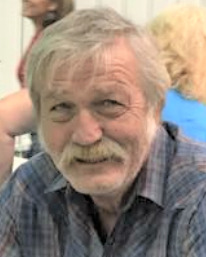 Anthony Carlyle Lasater, 67, of Fort Gibson was born November 13, 1950 in Wagoner, OK to Earnest and Ruby (Todd) Lasater. Anthony passed away Sunday, November 4, 2018 at the Jack C. Montgomery VA Hospital in Muskogee, OK with his family by his side. He attended and graduated from Okay High School. On November 3, 1969 Anthony joined the U.S. Marine Corps. He later deployed to Vietnam where he saw combat as a Huey door gunner. He was honorably discharged August 18, 1971 at the rank of Sergeant. Anthony was a member of the American Legion Post 15 in Muskogee and also a member of the Disabled American Veterans (DAV). Anthony loved his grandchildren and enjoyed watching them play sports. He also loved to spend his time fishing, watching softball and playing baseball. Anthony was an exceptional baseball player in his day. He was a big fan of John Wayne and Elvis Presley. Anthony was a die-hard Ford owner and you couldn’t convince him to buy any other make or model than an F150. He enjoyed helping others with his mechanical expertise on all types of vehicles and vessels, especially boat motors. He valued family and friends and was always willing to help others in need. Anthony is survived by his wife of thirty years; Sandra Lasater of the home; sons, Jake Lasater of Tulsa, OK, Jarod Lasater of Fort Gibson, OK; step-sons, Jeb Hagman of Muskogee, OK and Josh Lawson of Fort Gibson, OK; sister, Janet Lasater-Kitchen of Oklahoma City, OK; brother, Kevin Lasater of Okay, OK; his grandchildren, nieces, nephews, numerous cousins and many friends. A visitation will be held Wednesday, November 7, 2018 with family receiving friends from 5PM-7PM at Clifford D Garrett Family Funeral Home. A celebration of Anthony’s life will be 11:30AM Thursday, November 8, 2018 at Clifford D Garrett Family Funeral Home Chapel, Fort Gibson with Chaplain Forrest Kirk officiating. Committal prayers and interment will follow at Fort Gibson National Cemetery with Jake Lasater, Jarod Lasater, Jeb Hagman, Josh Lawson, Hunter and Carter Lawson serving as casket bearers.